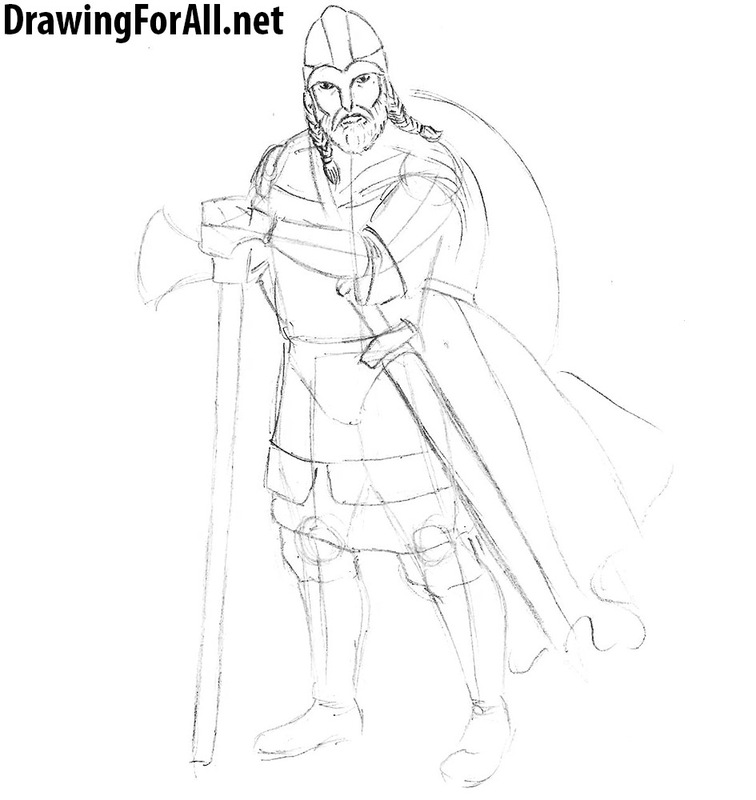 Greeting dear artists and welcome to the lesson on how to draw a realistic viking. Vikings are early medieval Scandinavian seafarers who in the VIII-XI centuries made sea trips in the whole of Eurasia. 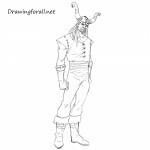 In one of the previous steps we drew a viking, but it was drawn in comics style, so in this lesson we will show you how to draw a realistic viking. With the help of very light lines draw the skeleton of our Viking. We begin with the head, which we draw in the form of an oval. Draw the spine, arms and legs using conventional lines. In order to draw facial features we need guidelines. So do it using two crossing lines at the face. 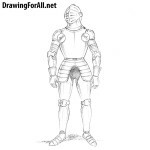 Go down and draw the neck in the shape of a cylinder and the torso that narrows to the waist. 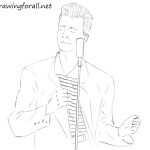 Then draw the arms and legs in tha shape of long cylinders and shoulders, elbows and knees in shape of circles. Let’s add details to the drawing. 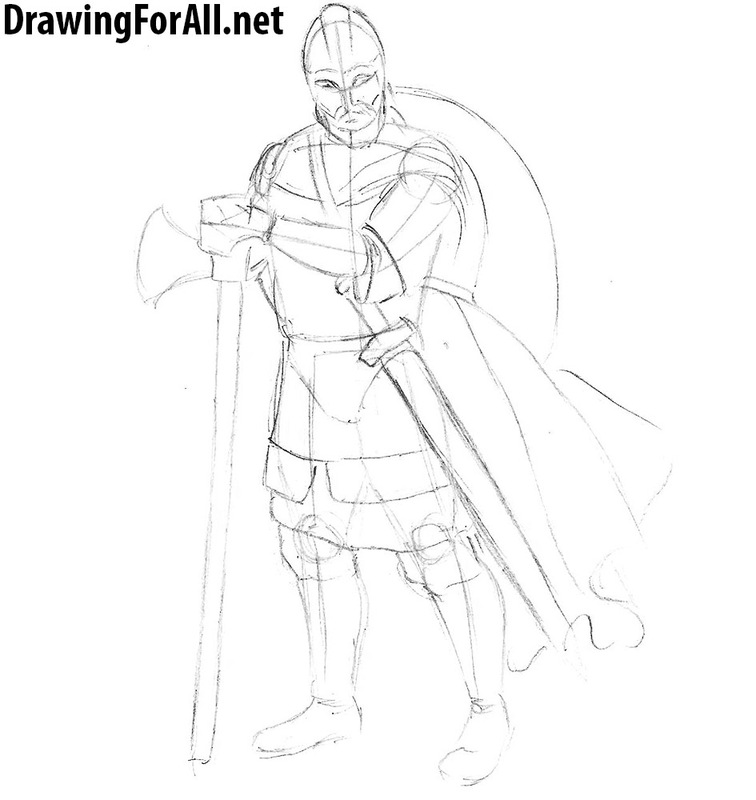 First we sketch out helmet and beard with common lines. 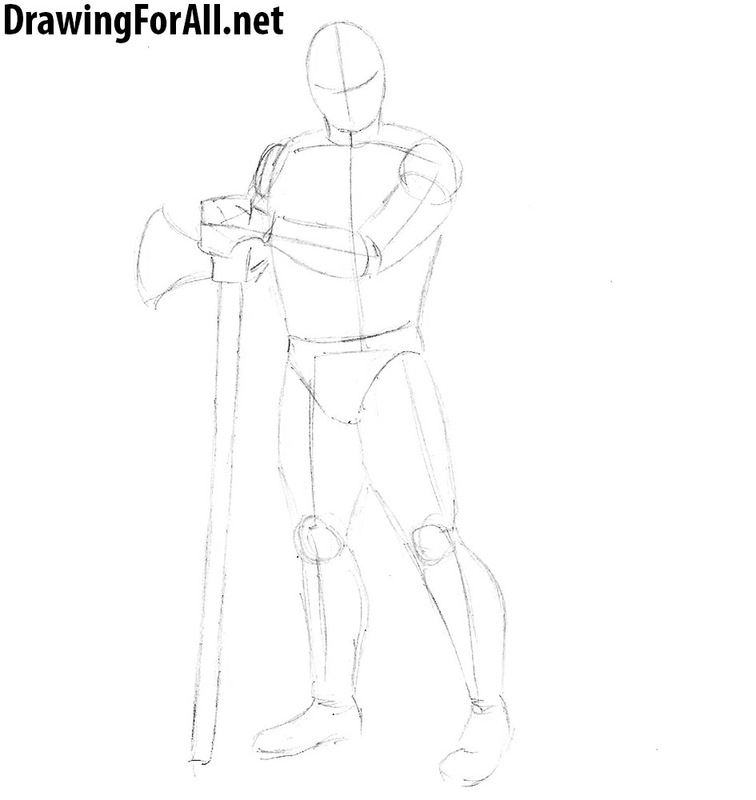 Outline the lines of clothing and battle axe. Behind the viking draw the developing cape and a round shield. 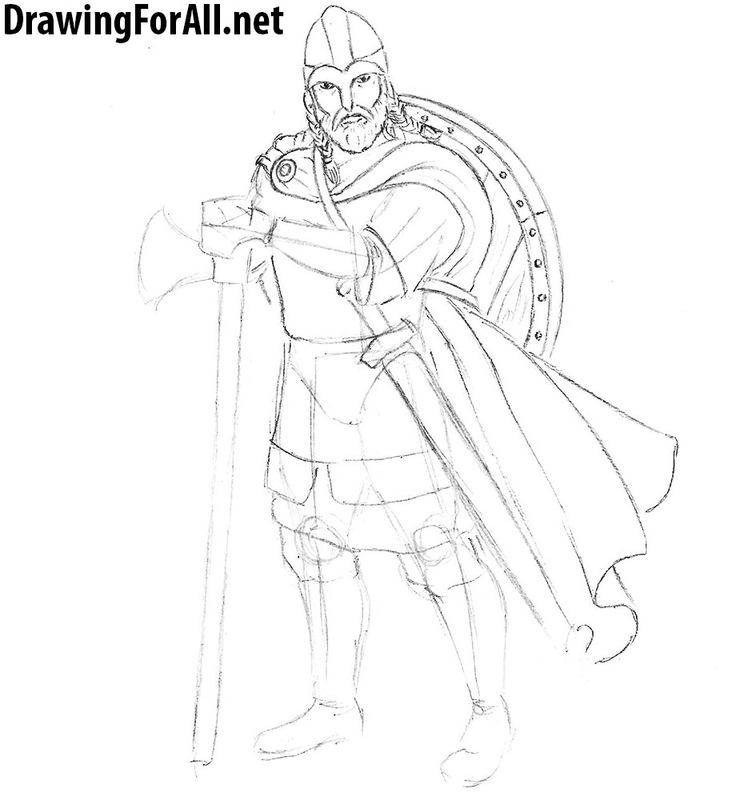 Continie drawing tutorial on how to draw a viking. Here we draw the typical viking helmet. Right under the helmet draw the eyes. Next draw the magnificent beard and hair tied in braids (although some scientists say that the vikings did not wear such hairstyles). Using curved lines draw the cape of our viking. Next draw a round shield and add to it a pattern of wood and rivets. 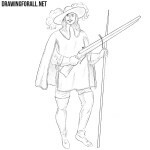 Pay attention to how the strap of the shield tightens the clothes, consider this when drawing a cape. 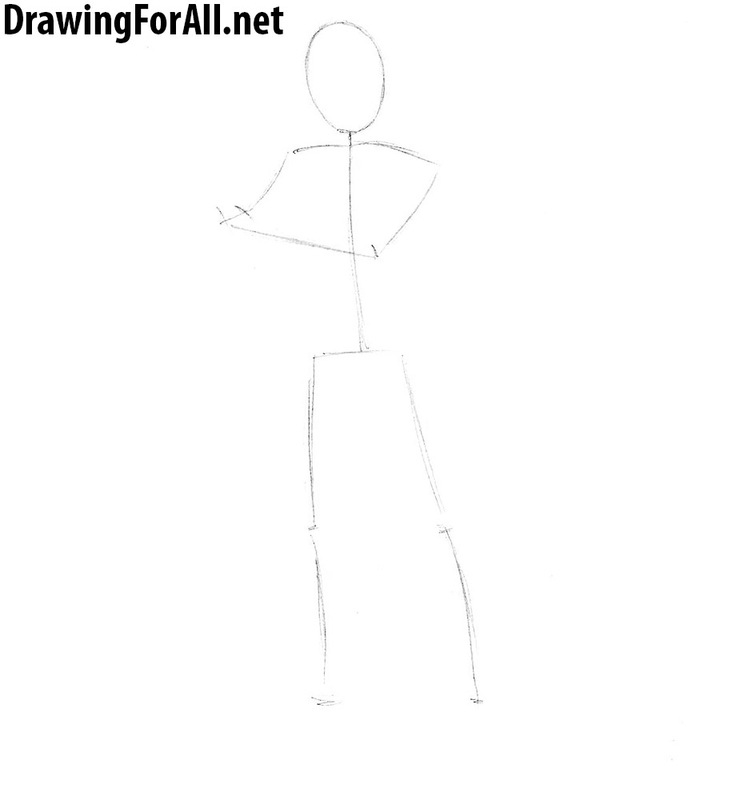 Draw clothes on the torso and arms. Draw out the hands and an ax in his hands. Erase all the additional lines that we drew in the previous steps. Also do not forget to add folds. Draw the details to the legs of our viking. First we draw the belt and a sword and dagger tied to a belt. Next, draw a piece of clothing that covers the pelvis. Draw pants that are tightly tied with straps and shoes. Using cross-hatching we draw chainmail. Under the mail we draw details of dense clothing with the help of cross lines. Next add shadows using close-fitting hatching. In order to blend shadows darker you can add another layer of hatching. It was a very difficult drawing lesson. 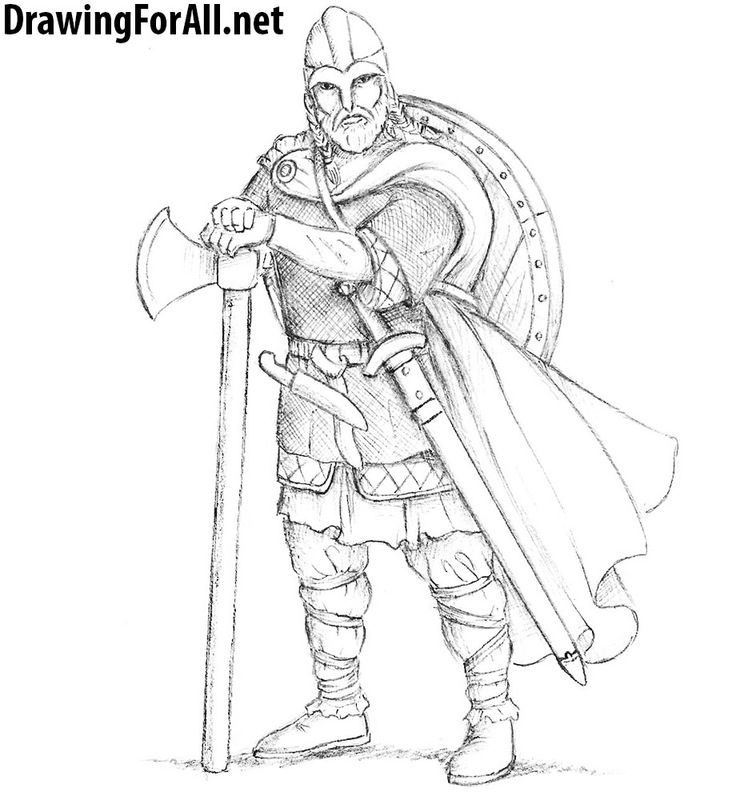 If you want it easier – visit the lesson about how to draw a comics viking. 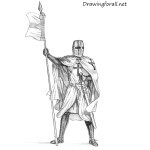 If you like it and you want more, then on our site a lot of similar drawing lessons, for example about bogatyr, the knight and the samurai. They didn’t have horns that was a myth. 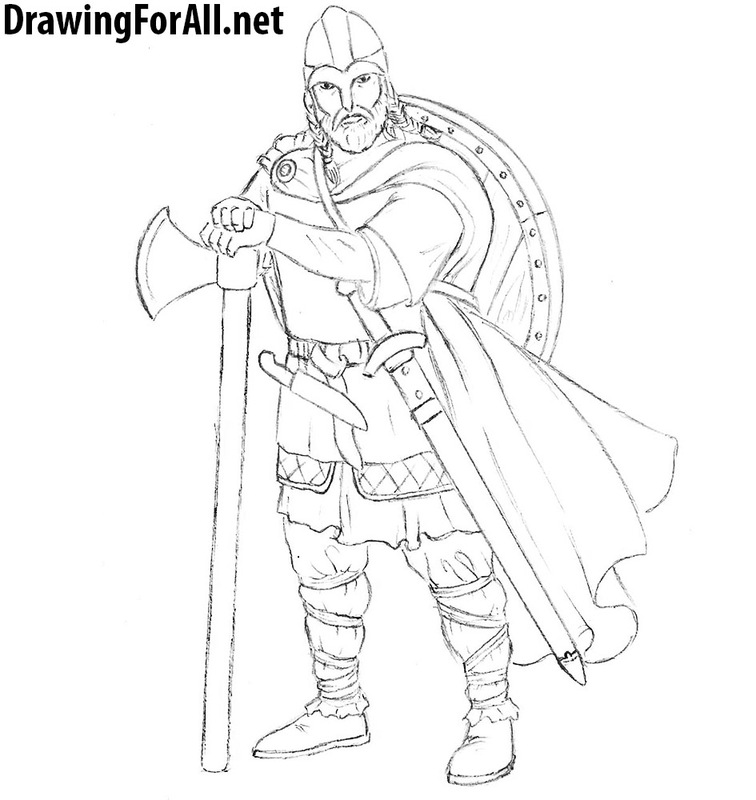 Really good I was doing my homework and needed to draw a Viking and I got an A! Wow super good drawing!